The Higher Education User Group recognizes that our members continue to want to work with other members that are geographically close to them and face similar issues. The US Regional Conferences are events for members from the United States and Canada that have a need and desire to work with other institutions within a close proximity. Institutions outside of these regional groups are welcomed to join, and are encouraged to subscribe and participate in all aspects of their community. We welcome partners to participate and sponsor these events. They are a great opportunity to meet with our members in a more intimate setting. The Higher Education User Group recognizes that our members want to network with other members that are geographically close to them and face similar issues. The International Conferences are events for members from US & Canada, Asia/Pacific, Europe/Middle East/Africa and Latin Americas that have a need and desire to work with other institutions within a close proximity. Institutions outside of these groups are welcomed to attend, and are encouraged to subscribe and participate in all aspects of their community. Use the links below to view the International Conference pages and be part of the conversation! If you are an international partner, or are looking to expand your offerings to new countries, HEUG International conferences are a great opportunity! We welcome partners to participate and sponsor these events to meet with our members in a more intimate setting. The educational sessions/workshops are presented by users, Oracle strategists and developers, and partners. Oracle provides roadmap sessions to provide information about the future direction of their applications. In addition, Oracle strategists and developers are available via 'Meet The Experts' sessions during the conference. The Exhibit Hall provides the ability to review multiple partners, see product demos, and discuss service offerings in a number of areas. The Alliance Conference also represents an excellent opportunity to network with other Oracle application users. 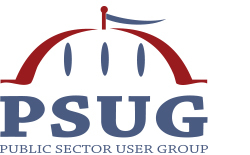 All Oracle applications users are welcome and do not have to be a member of the Higher Education User Group (HEUG), Public Sector User Group (PSUG), or Federal User Network (FUN) to attend.